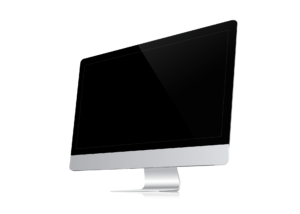 Do you own a Mac/Apple pc? Has it been acting slow and sluggish. Or just not how it use to, when you pulled it out of the box? There can be a few different causes. Viruses: Mac’s do not get viruses Right? Wrong. In the past year the amount of viruses and malware Macs get has gone up almost 300% percent. A lot like pc’s these viruses can have malicious intent.From simply changing your favorite browser homepage, to stealing your bank account information. The best you can do is install a antivirus program on your mac, such as Avast or Sophos both of which have a free version. Antiviruses may not be enough. Because viruses can still come from emails or get downloaded alongside software. If you have a antivirus and you are getting strange pop ups or your web browser is not going where it should be. It is probably time to stop by your local computer repair shop in Bozeman. Here at Ram Computers we will make sure that the virus is cleared of your mac, and that none of your information is compromised. And we will do this in a timely manner. A Full Or Dying Hard Drive: A second item that can cause your Apple computer to slow down is a full or dying hard drive. A filling up your hard drive is more common than you think. Years of photos and videos can start adding up over time filling up your mac and crippling it. Lucky there are a few ways this problem can be fixed. The first and cheapest solution is transfer the information you don’t need to use on a daily basis to a external hard Drive. This can potentially free up 100’s of gigabytes of data, have your mac running faster than it has in a long time at the faction of the cost of the other options below. Another possibility is that your Hard Drive is dying. If you think that this is the case. It is important to make sure your data is backed up and to get it to a tech as soon as possible. They can correctly diagnose your apple computer and make sure the issue is a dying hard. If it is a dying hard drive there are few thing that need to be done and checked. The first thing to ask yourself is. Do you have a recent backup? If you do, your in luck. Because getting a new hard drive in your mac, should not be a problem. But if you never made a backup the tech might be able to retrieve your data if the drive is not to damaged. But if this issue has been going on for a extended period of time or there was water damage. There is chance your data cannot be recovered or will have to sent into a lab that specializes in information recovery. This can rage in cost from 800-2000 dollars. As you see it is not only important to backup your data on your mac, but extremely cost effective as well. If you don’t have a backup or are unsure if it is working. It would be a good idea to call a local computer repair store, and have them either set one up on your mac,or check and see if it is working. The cost of a back drive can range from 100-200 dollar based on how much information you have. At Ram Computer Services we will also include with the purchase of a back drive, setting up and checking the backup with the purchase of a new backup hard drive. AGE: Like most things in life computers get older and start to slow down. This isn’t just a issue windows based system have, but all computers. Including Macs. overtime computer software gets more complex and uses more resources threw the consistent update from apple, google and microsoft, or any other software company you use. The problem us your hardware inside your apple computer remains the same. So after a few year pass, there maybe a noticeable slow down in your mac. Your probably thinking by now you need to go out and a buy a new one if this is you. But that may not be the case. Like stated above you could have a virus or a full/dying hard drive. It would be a good idea before going out and purchase another computer, to drop it by your local bozeman computer repair shop if you have any doubts. Computer hardware can break at anytime for any reason. Including the touchpad. If this breaks it can make the computer unusable. There are two ways this can be fixed. One is to plug in a external mouse either wired or wireless. The only problem you can run into with this. Is with the limited ports on most macs. You can run out of ports very quickly making impossible to charge your notebook and plug in a sd card reader or external hard drive. Unless you have the correct adapter. Which can be expensive. Your second option is to replace the touch bar. The total cost of this repair can range from 150-200 dollars mattering what model of apple laptop you need repaired. With the icy conditions in montana dropping your laptop is more common than you think. This cause the laptop to break and not start or crack the screen. 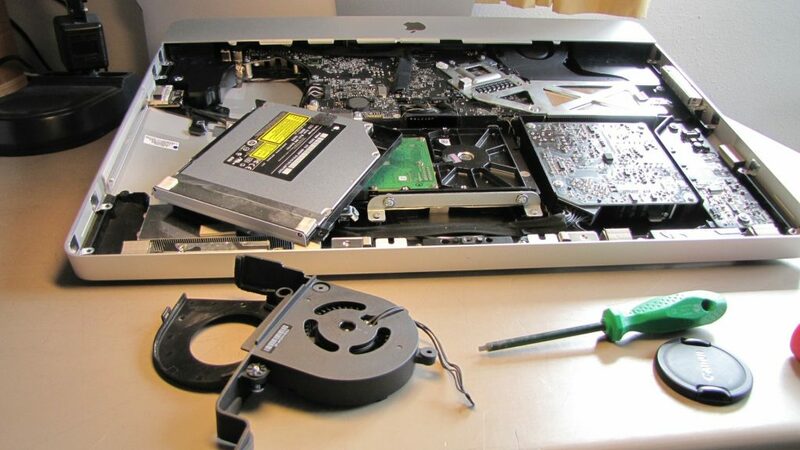 But the most common issue is damage to the actual body of the mac. In almost all cases repairing just the body of the computer is not cost effective as just repairing the body can cost 500 plus dollars. And if everything else works it should just be used as is. Another consequences of dropping your notebook or having a really bad day at work can be a broken screen. If you have Applecare it will cost you 99 dollars. If there is water damage. And you have applecare it will cost you 299 which is still a lot better than paying for the screen outright which can cost 500 to 600 dollars. Your motherboard can go die at any time for any reason. If you have applecare you might be out of your computer for week but the repair will be covered. If your applecare has expired or was not extended. This repair can be extremely expensive. Anywhere from 500-1000 dollars depending on what model of mac you own. Spills happen. And if you have applecare, repairing your apple computer will cost $299. If you dont there are a few factors you need to look at. What kind of drink was spilled on the computer. If it was water or black coffee there is a good chance that it will be pretty easy to repair and service your machine. If the drink contained any sugar or sticky substances. Your mac is pretty much dead. And the best you can hope for is getting the data off of it. Like hardware, programs can also break as well, this can be symptom of dying hardware, or your software could be corrupted. Well this is rare on macs. It does happen. Fixing this can be as simple as loading a older time machine backup. Or may involve reloading the os from scratch. The repair cost is 100-250 dollars.